Northern Ireland’s best hope economically lies in continuing membership of the EU and continuing membership of an all-island economy. The time may have come to radically re-think Ireland and to consider a few options which might offer a way forward for this island. A confluence of events has suddenly accelerated the pace of potential change on this island. The fact that a majority of the people on each side of the Irish border is opposed to Northern Ireland leaving the EU, coupled with a change in the North’s demographics, puts things in flux to an extent that no-one would have thought possible even a decade ago. Let’s remember that the DUP itself remains a minority party. Its viewpoint on the EU is a minority viewpoint in the North. Likewise, Sinn Féin is a minority party and its traditional hostility to the EU was not shared by a majority in the North either. In fact, membership of the EU was a factor which provided a really good milieu for the growth of partnership among the two traditions in Northern Ireland. Support for membership of the EU was a value held in common by a majority on both side of the constitutional divide. The DUP would never have supported Brexit if it had been proposed by a Labour government in Westminster. Its only attraction for them lay in its being a project of English Tory ultra-nationalist reactionaries. John FitzGerald in a thoughtful piece in this week’s Irish Times reflected on the irony that the Republic of Ireland now seemed to be more enthusiastic about the concept of the coherent UK than the English political class is. He saw the centrifugal forces now in play as having the potential to tear the UK apart. He has also written and spoken about the huge Northern exchequer deficit and its economic implications for a unitary Irish state. The Good Friday Agreement only allows the people of Northern Ireland a binary choice – keep the Union or enter a united Ireland. And if that choice were put to the people of Northern Ireland in present circumstances, it is highly likely that they would reject a united Ireland. But is that binary choice the only choice? Consider the following. Suppose that the North were to become a state similar in status to the post-Treaty Irish Free State. Its link to the Crown would still be there but would now resemble that of Canada or New Zealand. They are sovereign states with a formal British link. Now suppose that the North with such a status agreed to share a single membership of the EU with the Republic. In other words, the two parts of Ireland would, for the purposes of the EU, have a single status of shared EU membership. It would be a form of confederation of two linked but autonomous parts of Ireland. The intractable “constitutional question” would be parked and become largely redundant. Instead of enforced power-sharing, and especially given the new demographic balance between Orange and Green, ordinary politics based on proportional representation and coalitions of the willing could govern the North. 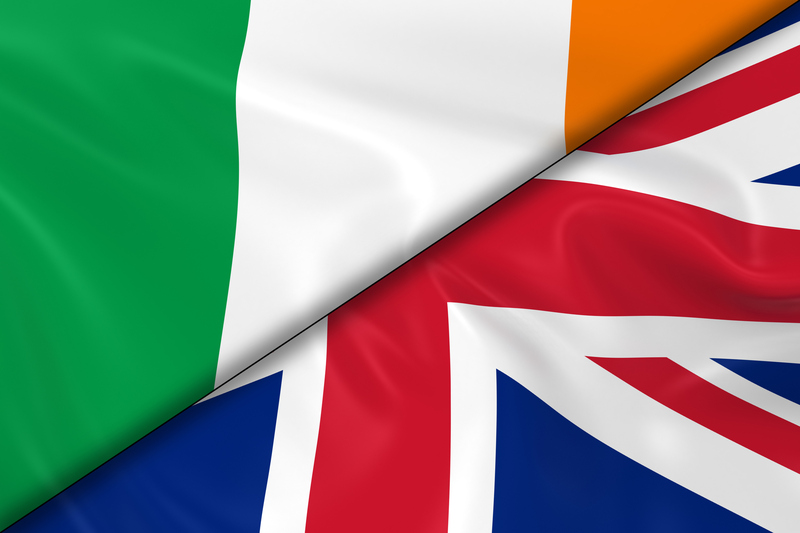 Britishness and Irishness would be equally at home and equally recognised. Unionists would not be on a down escalator towards absorption in a unitary Irish state; Nationalists could view themselves as citizens of part of single Irish confederal participant in the EU. With the Common Travel Area and the right of dual nationality, there would be very little to argue about. Unionists could be EU citizens. Both parts of Ireland would be in the Customs Union and the Single Market. The rest of the UK will probably end up in some form of semi-permanent customs union when all the dust has settled anyway. Of course, the real problem is as to whether the Westminster government and/or Dublin and/or the EU would be willing to shoulder the burden of the enormous government deficit which currently sustains the North’s economy. That would be a major issue and it is hard to see anyone willingly shouldering the entire burden. On the other hand, if the entire UK leaves the EU, it is equally hard to see how the current state of economic dependence of Northern Ireland on the Westminster exchequer will not continue to grow and whether that dependency will not indeed accelerate. In my view, Northern Ireland’s best hope economically lies in continuing membership of the EU and continuing membership of an all-island economy. The problem with the Good Friday Agreement is that the structure is built on a political fault-line which constantly threatens its stability and longevity. In order to make the agreement work, it was politically necessary to bring both Sinn Fein and the DUP in from the edges and to give them each a commanding role in the political life of the North. The problem is that deep down neither Sinn Fein nor the DUP wishes the Agreement to succeed. Sinn Fein regards the agreement as a temporary expedient on its march to a united Irish socialist republic. The DUP, for its part, does not really want to share power at all with republicans and politically holds its nose while doing so. Add to that the attitude of the swivel-eyed Tory Brexiteers who, on the one hand, profess loyalty to the Union from an English nationalist point of view but on the other hand are completely indifferent to the economic effects of Brexit on Northern Ireland itself. If you really want to know what Gove, Johnson and Rees Moggs believe in their gut about Northern Ireland and the Good Friday Agreement, may I beg you to read on-line a paper written by Michael Gove for the conservative Centre for Policy Studies way back in the year 2000 when he was home editor of the Times and was the author of books on Michael Portillo whom he described as “the Future of the Right” and on Edmund Burke. In his CPS paper, Gove condemned the Belfast Agreement in the strongest possible terms. He mocked its preoccupation with human rights. He rejected the Patten Report’s recommendation to create the PSNI from the RUC. He rejected tradition-neutral oaths for public office. He rejected any recognition for the Irish language (even though he seems to have no problem with recognition in Wales for the Welsh language and in Scotland for Gaelic). The tenor of his piece was that the Belfast Agreement was a betrayal of the union of Britishness and was a Trojan horse for everything that was worst in the political firmament. With a Tory cabinet including Gove and with political dominance of Sinn Fein and the DUP within Northern Ireland, the Belfast Agreement has very few friends at the local “top table” any more. Those who wish the process of reconciliation well – particularly the Dublin government and the governments of the EU member states – are battling to save it when Brexit is threatening to destroy it. It seems to me that instead of seeing the constitutional question in binary terms as the Belfast Agreement does, there must be hope that the cross-community majority in Northern Ireland who favoured remaining in the EU and who favour reconciliation and who, for the moment, find themselves with no government, no coherent spokesmen, no reason to hope for economic recovery and growth, might begin to look at new ways to put the past behind them and to make the shared social and economic future of the North their top priority. It is only by thinking outside the box that the light of hope will shine through the negativity of darkness and gloom which these days pass for politics in Northern Ireland.